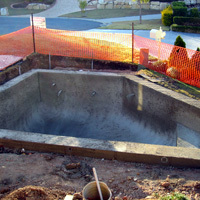 However, there’s also a serious side to pool construction, which cannot be underestimated. Luckily, we take care of this for you, informing you all the way and allowing you to get on with your busy life with peace of mind. What soil are we dealing with on site? Will additional works be required due to slopes, soil or underlying structures? What is the best concrete mix for the project? Any other on site factors that will affect design/scope/budget? Every stage of the construction phase is personally managed by Michael Noble, the owner operator. This is obligation free. 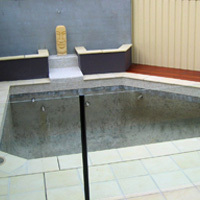 Michael can meet you on site to talk about what you would like and assist you with the design of the pool. He will also get some information from you so that he can prepare an estimate. You will be presented with a proposal including an estimate, some suggested options for your consideration, a sketch of the proposed design of your pool. Feel free to ask questions, as this is the time to make any variations or alterations. 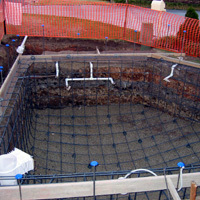 Once you have agreed upon the design and specifications of your pool, you will be asked to sign a Contract. A deposit payment will also be required. We submit your plans and documents to the engineer and certifier for approval. This must be done prior to construction commencing. 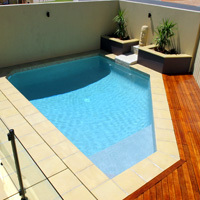 If you haven’t already done so, you will need to choose the colour of your pool interior and other finishes. We have sample boards and can assist you with this process, but the final decision is yours. We will give you a handover kit and go over some important operating instructions and maintenance tips. Your pool is now finished! Happy Swimming! Want to know more? Call Michael Noble now on 0416 203 765 or complete the Contact form.